Do you snap photos with your iPhone? Are you amazed at how well they turn out? If you are, I have a money making opportunity for you. It’s called Foap and it’s an iPhone app for stock photographers. If you’re looking for ways to make money or even just ways to make money on the side why not sell the photos you’ve taken? 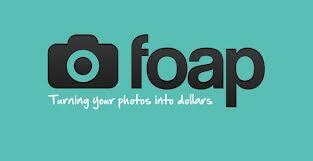 Foap is free to sign-up for and you earn $5 each time one of your pictures sells. The company prices the photos at $10 apiece and splits the profits with you. You can sell the same photo hundreds of time to maximize your profit. Best of all, you receive funds via PayPal which is convenient. Here’s how the withdrawal process works: If you cash out before the 15th of the month, your money will be in your account at the end of the same month. If you cash out on the 15th or later, your funds will be transferred at the end of the next month. 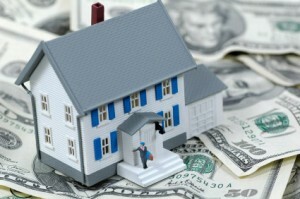 This is great news if you’re looking to introduce multiple streams of income into your budget. Using the app is really easy. You upload and tag your photos, write a short description for others to see, and click submit to proceed with the acceptance process. Once you’ve rated five photos on the site, your photos become part of the Foap community and other members rate you. Your score determines whether the site will sell your photos or not. You receive confirmation of this via email each time your photo is accepted and sold. Know the market. Familiarize yourself with your audience. What type of images sell best on each site? Sell specific photos on specific sites for the best results. Scrutinize every photo. Look for imperfections. Buyers want clear, high quality images to use. If there are a flaws that you see in your pictures, chances are the buyer will reject them and move on to another seller. Use detailed descriptions and keywords. This will help people find your photos easily. Buyers can enter a word or phrase and see the photos you have for sale. 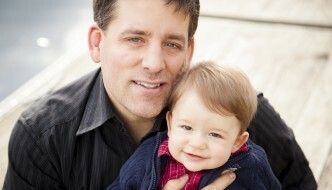 Offer free photos from time to time to get people to look at your portfolio. Free photos drive traffic to you. If you want to sell higher quality, more expensive photos, consider giving away a few images every couple of months. Stick to the better-known websites. You won’t get very far very quickly if you go to the more obscure sites to sell your photos. Make sure it’s a name that people know and trust. That’s how you sell pictures. Have you ever used Foap before? Or have you ever sold your photos to any other stock photography website? @genxfinance Girl this is the second article you've shared that's been #onpoint! #bigsisalwayslooknout! Its really feels good if you can get some extra money for your hobby..Thanks for this helpful post. Sounds like a cool app. I may just have to check it out. I'm always taking pictures with my iPhone and it would be great to earn a few extra dollars from them. Got Extra Space in Your Home? Rent It Out!